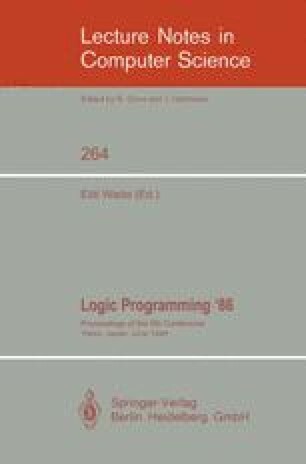 Logic programming has been widely used because of the clearness of its semantics and its extensibility. Many inference systems have been proposed using a logic programming framework. But few of these have studied logic based man-machine interaction, apart from systems based on incremental query [Emden 1985]. Incremental query allows users to enter a part of queries incrementally instead of entering the whole query at once, as in Prolog. In this paper we investigate essential concepts of interactive problem solving and generalize incremental query further. And we propose a new query model for logic programming, which we call interactive query revision. Interactive query revision allows a user to modify queries and hypotheses and to act as a part of the inference engine, in addition to entering queries incrementally. We apply interactive query revision to an interactive LSI layout system.